Statistics from AARP show that 87 percent of adults age 65+ want to stay in their current home and community as they age. That means the need for home health care will continue to rise, as will the need for home health care agencies. Marketing your home health care agency requires a unique strategy that fosters trust and establishes you as a qualified health care professional. Of course, you also want to attract new clients and increase your revenue. With that in mind, here are some top creative tips and ideas for marketing your home health care agency. Each day, some 10,000 seniors turn 65 in the United States, and the majority of them are hoping to age in their own homes. Through 2026, the projected growth of jobs in health-care settings is 18%. 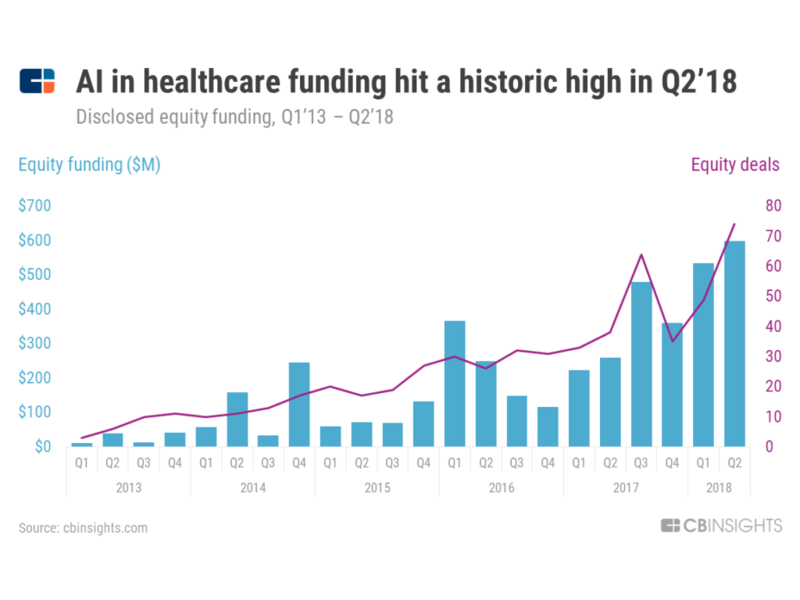 But demand for home health and personal care aides will far outpace the sector’s growth, with an increase of 41%, to more than 4 million jobs. 80% of Internet users have searched for a health-related topic online, according to a study released Wednesday by the Pew Internet & American Life Project. 90% of internet users read online reviews before visiting a business; a trend that is translating to the medical sector. Knowing all of this, it’s easy to see why home health care agencies need to be visible and marketing themselves to potential patients. The demand is high, but the competition is going to increase as more agencies enter the field. If you’re not marketing your company, you risk losing out to businesses that are. Here are some home care marketing tips to follow. If you’re running a home health care agency, you need to be on top of the latest news, rules, and best practices. This is an always-evolving field that demands continued education and improvement. By following these healthcare accounts, and others, you’ll stay in the loop on the latest trends and challenges. Take your approach one step further and be sure to comment, retweet others and show that you are a part of the home health care social media community. Why should people choose you? What makes your agency unique? By looking at your organization from a consumer perspective, you can start to hone those all-important marketing messages. If you cater to a niche market, this is a great place to start. You have a very specific target audience and can tailor your content to suit very specific needs. For instance, if you focus on post-surgery support and rehabilitation, list the exact services you offer linking through to more explanatory content. If you offer palliative care, then drill down into the reasons why you are the best in your sector. It’s important to know your USPs so that you can effectively market them. Consumers want to see that you’re switched on as an agency and keeping up with modern developments. So if you make use of simple booking or time tracking tools that enable you to maximize your time spent with patients, don’t be afraid to talk about it. 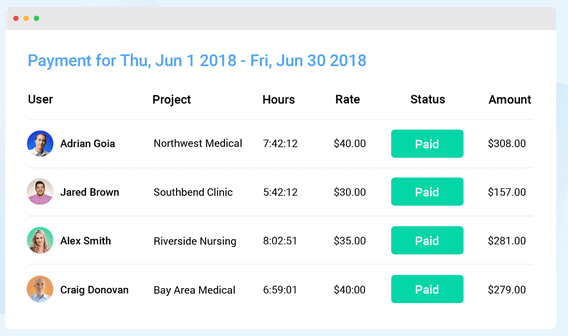 For example, Hubstaff’s automated billing and invoice software (shown below) allows home health care agencies to manage timesheets and payroll. If you’re managing a team of caregivers, then this type of streamlining is incredibly advantageous. Software such as Hubstaff shows that your agency prioritizes patient care and has invested in tools to deliver on that promise. There are many different tools transforming the home health care sector. Another one is appointment scheduling assisted by artificial intelligence (AI). Automated confirmation of health care visits also saves a lot of manual labor. And with providers being available on various messaging services, you can potentially reduce the number of home visits you need to make by offering reassuring advice via the internet. Technologically enhanced tools can certainly help you make an impression and streamline your everyday practices. Your blog can cover a wide range of topics within the health care sector and your niche. Ideas include patient case studies, stories and testimonials, patient resources, challenges in today’s health care sector, and the solutions you provide. Other great areas include health care trends, rules and regulations, policy updates, and medical breakthroughs. One important aspect to your blogging and website practices is SEO (search engine optimization), including the proper use of keywords. Keywords drive targeted traffic to your business for free so it’s important to nail your SEO keywords. When search engines such as Google are looking for relevant content, they scan pages for words relevant to a search. If you’re not using the right keywords, you could be missing out. For example, if you want to score for home health care but have no mention of home health care on your website, then people won’t be able to find you. It sounds simple, but it’s surprising just how many companies miss these simple marketing tricks. It’s a good idea to regularly research trending topics and related keywords so that you can include them in your web content. And while we’re on the subject of SEO, be sure to have your home health care agency on all the free forums and listing sites in your area to improve your ranking. If you’re planning to market your home health care agency, then you need to master social media. Platforms like Facebook are a great way to engage your community with stories, photos, and employee videos. Having a Linkedin presence shows a serious agency that has an established presence. It’s a great network for you to share industry news, events, and thought leadership articles. Getting active on Twitter will enable you to follow key sector influencers, get the latest news, and share your own updates. Be sure to always keep a consistent and professional tone of voice across all accounts. Social media interaction for home health care agencies is crucial. Responding, engaging, retweeting and, most of all, listening is key. 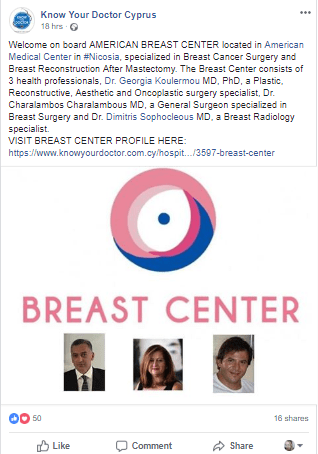 “Know Your Doctor has grown to be one of the biggest websites in Cyprus for individuals looking for health care practitioners. We feature reviews, testimonials, news, and education to continually engage our readers and encourage honesty within the community. Social media has been a large part of our success and has meant that our advertising spend is minimal. Home Care Plus authored a great article on social media for home health care. And while you’re at it, check out 4 social media mishaps home care providers should avoid. Being overly promotional can be a big turn-off to some consumers, and that holds true for home health care agencies. That said, well-placed press releases detailing new services, tech solutions, products, team members, and insights can drive quality traffic to your website. A focus on public relations can be great for business, helping you to make a name for yourself in the industry. As with blogs, people tend to skim. 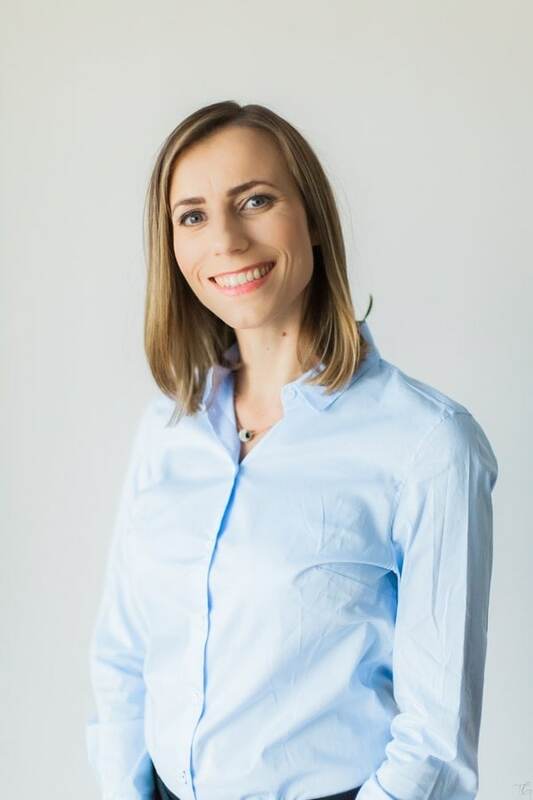 The best approach for drafting a press release is to divide your content into bite-size, easy-to-read sections and produce home health care marketing that’s innovative, interesting and problem-solving. Factor in some PR spend into your marketing budget but remember, quality over quantity. One well-placed and informative article per month is better than 10 poorly executed ones in low-value spots. Here are a few great media outlets for the health care industry. Modern Healthcare is the industry’s most trusted and relied-upon news source. It’s deemed a “must-read publication” in healthcare, so finding a way to send a press release or publish a guest post would have a big impact. It also has a high social media following so you will gain additional benefits from its 9,832 Facebook fans and 106,603 Twitter followers. The Health Care Blog is the leading online forum covering the business of health care and the new ideas that are changing the industry. With 36,291 Twitter followers and 9,707 Facebook fans, it’s a thriving community and a great place to share your insights. There are many more blogs for health care professionals, so take some time to find the audience that’s right for you and go from there. Creating a marketing plan for your home health care agency requires an integrated strategy of SEO, blogging, social media, PR, and community management. The good news is, there are plenty of free tools, sites, and techniques that will ensure you gain the exposure you need to attract new patients. Do you manage a home health care agency? Let us know your thoughts.